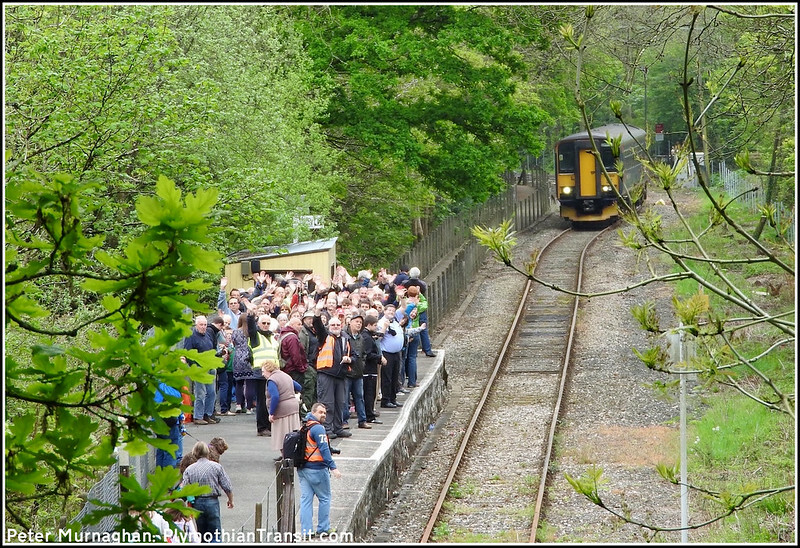 I thought that you might like to know how today's Junction Jaunt went. 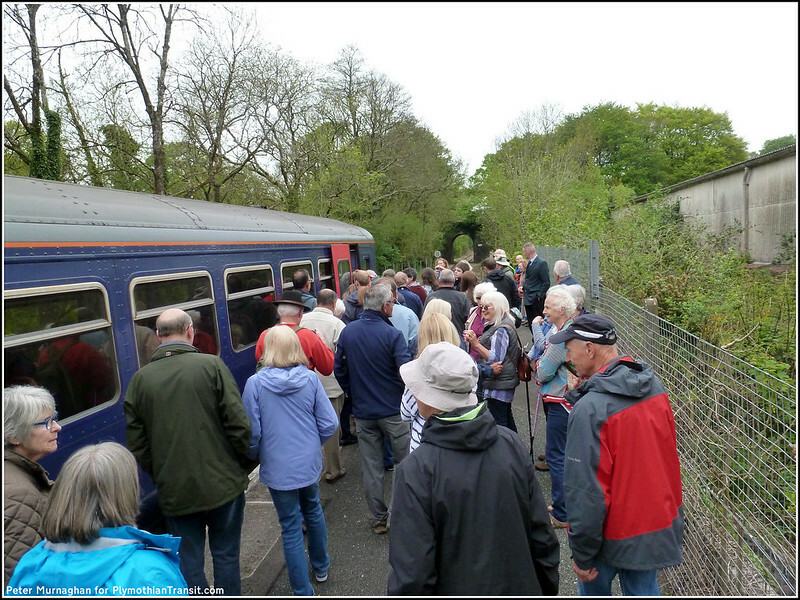 We managed to get 108 people to walk down from Liskeard station to Coombe Junction Halt to catch the train this morning. Bearing in mind that last year's Annual total was 26 passengers, we achieved something like a 315% increase in patronage in this one day alone. 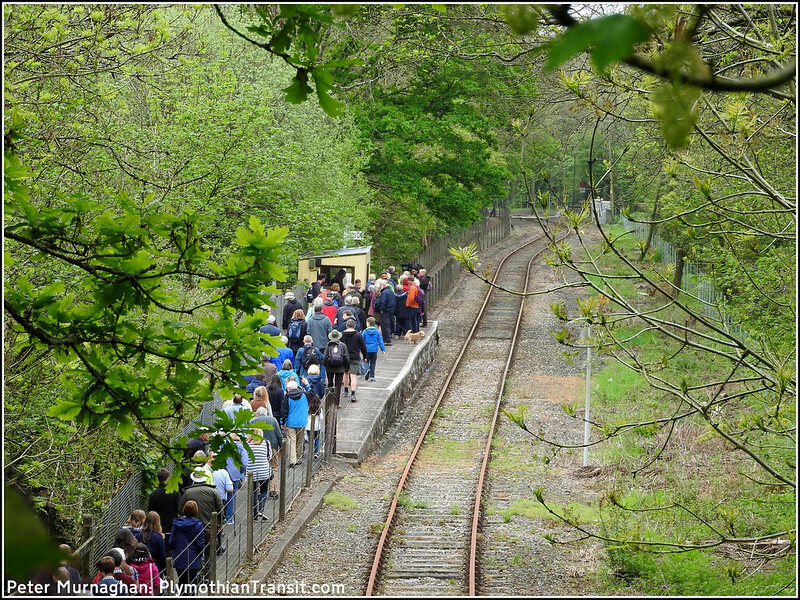 Although I had forewarned the train crew, when the Class 153 drew into Coombe, the guard's jaw dropped at the crowd that was waiting to join the train. 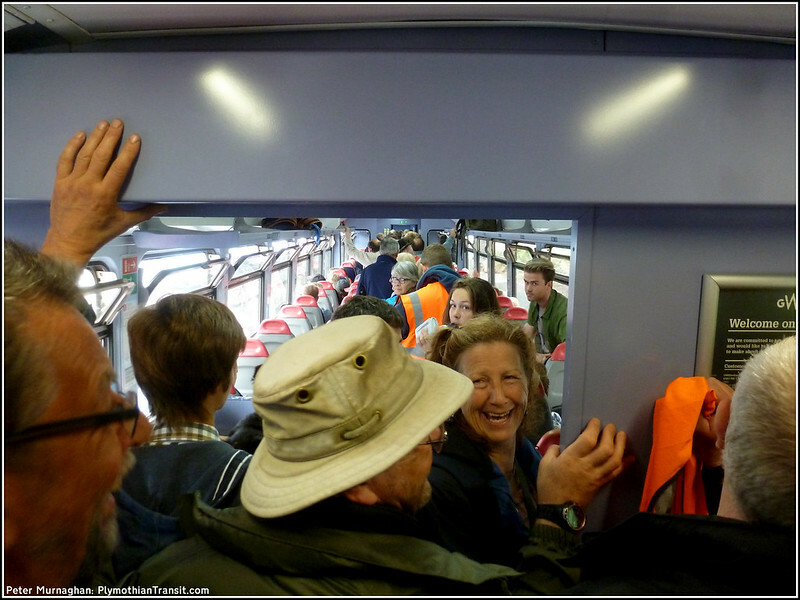 There was already a respectable load on board from Looe and the expression on the passengers' faces of this 'London rush hour' crowd trying to board at the sleepy Cornish halt was a real joy. A few pictures that hopefully convey the fun of the occasion.